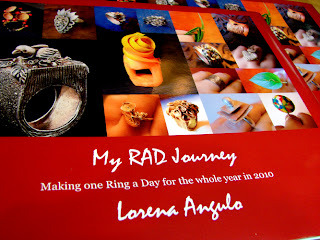 I want to giveaway my little book I made with my RAD (ring a day) rings and my experience during this great adventure. 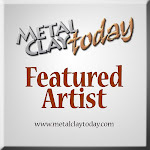 Post a comment in my blog about someone or something that inspired you in your creative work. My RAD Journey book giveaway winner will be announced on November 24 as a way to give thanks to all of you who follow my blog and my work. Lorena, I love your work, so I hope I win. I have to say that participating in some online events like swaps and blog hops have really helped inspire me. Also, the Whole Lotta Whimsy Sunday Social Circle has helped. Right now I am trying to focus on the happiest times in my life and do projects that remind me of those times. So much inspiration, so little time! The person who has inspired me the most is the same person who coaxed me into taking my first PMC class some 3 years ago. This special person is my talented sister, Carol. We are some 13 years apart in age and have become super close since we both started making silver jewelry. Like most things in life it makes it more meaningful and special when you have a soulmate to share your ideas, techniques, and failures with. Not many a day goes by that my sister and I don't create and compare notes. She is not only my BEST cheerleader but also my BEST critic and I am lucky to have such a wonderful sister! i think i could go on forever about sources of inspiration, but that would be so boring for you so i'll just choose the one that surprised me the most. my son's father passed away several months ago (i have a lovely husband but my son's father was very much a huge part of our family). the profound sadness i was experiencing inspired me to create a pendant so different than anything i had ever made, so outside of my comfort zone, so strange that my son's sister didn't care for it. i look at it now and see a symbol of a father's love for his child, among the other ideas that i was trying consciously to convey. at the time i made it, i had no idea that my son and his father figured so prominently in the piece, but looking at it now, i see it so clearly. Anyway, I can't really say what inspires me, but I'm always walking around with these ideas. One day my sister and I were out and about and I was looking at a rock wall, which is typical out here, and I saw figures and got some ideas from that. She was amazed...she told a friend, "I see a rock wall, but my sister sees creation!" Guess that sums it up. Your book is lovely and winning it would be an honour, but good luck and congrats to the winner. 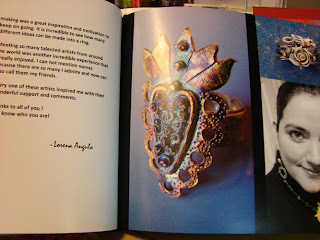 Lorena, Your work is a constant source of inspiration!! 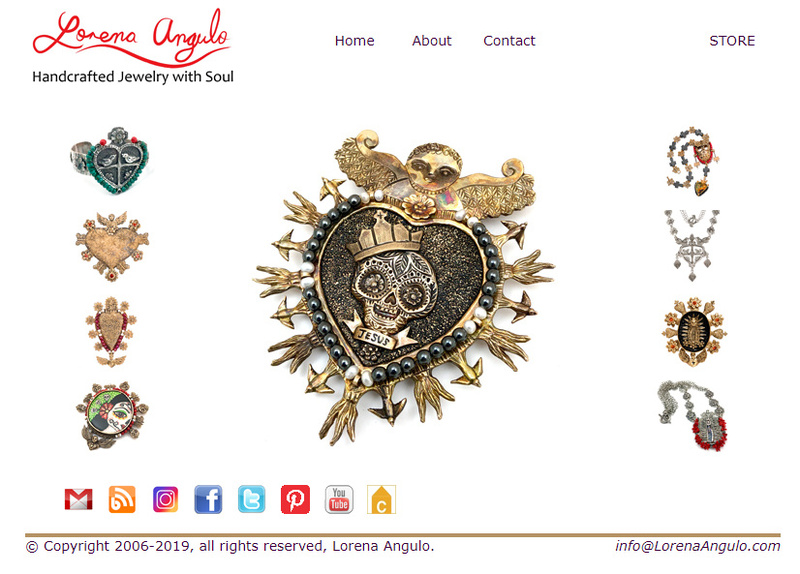 I love to see the different directions you take-- and yet it's all so very "Lorena"!! Lorena, I have enjoyed watching the process of your creations. They are so beautiful and technically brillant. I can't wait to see what you create next. Lorena, first of all, thank you for this wonderful Giveaway. Your work is amazing and the ideas are without limit. Stunning talent! Fingers crossed that I am the new owner of your RAD book! 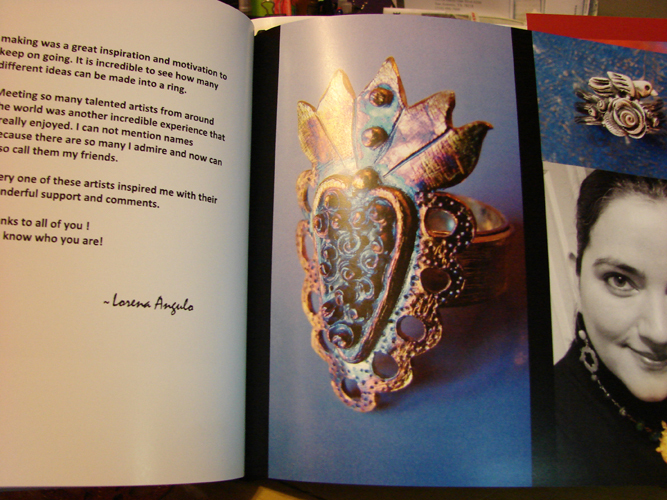 Lorena, your work is beautiful! I am new to WLWSSC which is where I found your work. I find inspiration everyday when I look at all the wonderful art around me, including yours. The person who most influenced me is my father. I was creating art right beside him from a very young age. At 13 he taught me silversmithing and I was selling jewelry to my friends at school. At the moment, I work on a torch and make glass beads. Thank you for the opportunity to own your book! I live vicariously and am constantly inspired by creative people. I love to surround myself with people who can take something the rest of us see as ordinary and turn in into a work of art that I could have never imagined! Wood, metal, paint, ink on paper, a glimpse through a camera, a stroke of a brush, a combination of ingredients in the kitchen, spoken word, spin of a record or strum of a guitar....all of these things have inspired me each and every day! So much so that I am quitting corporate America to start another chapter in my life. Wish me luck on my journey and thank you for making a difference!